Paul Reed Smith MT-15 Mark Tremonti Signature 15W high-gain tube amplifier head. Bar none the best sounding tube amp on the market for the price! Features 2 x 6L6GC power tubes, 2-channels + boost, footswitch included. 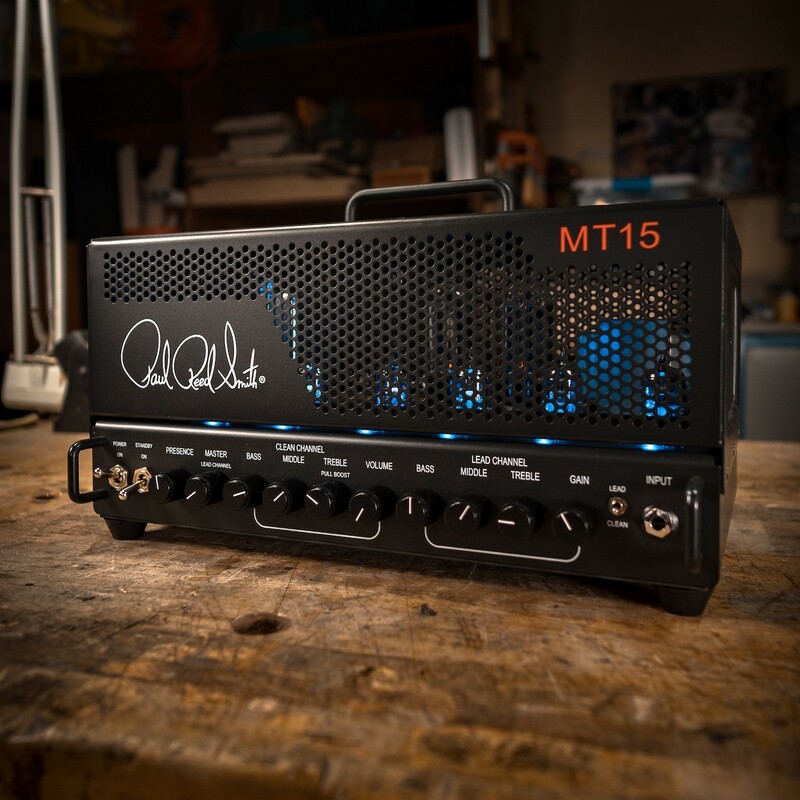 Paul Reed Smith MT-15 Mark Tremonti Signature 15W high-gain tube amplifier head. Bar none the best sounding tube amp on the market for the money. Sporting 2-channels of 6L6 power, the MT-15 has beautiful cleans and spectular high-gain rhythm/lead performance. It also has a surprisingly amount of headroom and volume. Simply an sounding amp! The Axe Palace is an authorized PRS dealer and this amp is brand new with warranty and includes free shipping.